On February 20, 2019, the Spring Valley Police Department received a report of sexual assault against a child. The incident was investigated and it was found from August 2018 to February 20, 2019, a juvenile was the victim of numerous sexual assaults from a single offender. 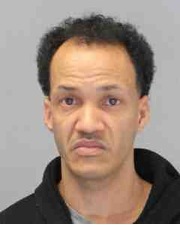 The investigation resulted in the arrest of Blair Betton, age 42, of Spring Valley, NY. He was charged with predatory sexual assault against a child, as well as a course of sexual conduct against a child in the first degree, both felonies. The Spring Valley Police Department asks anyone with any similar incidents please contact Detective Suarez at 845-356-7400.